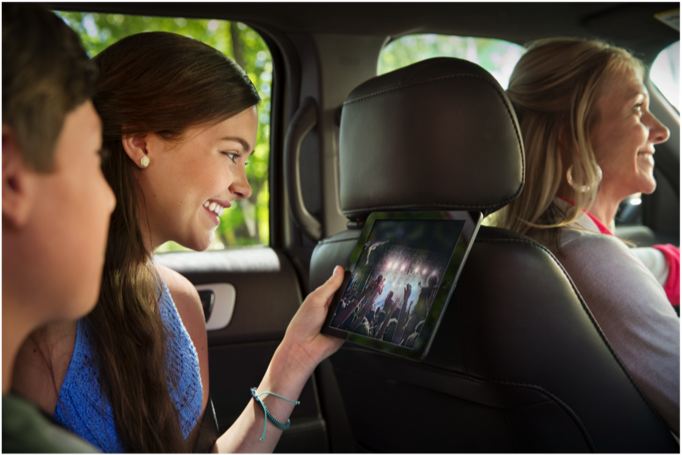 Watch Everything on your TV, Live on any device. 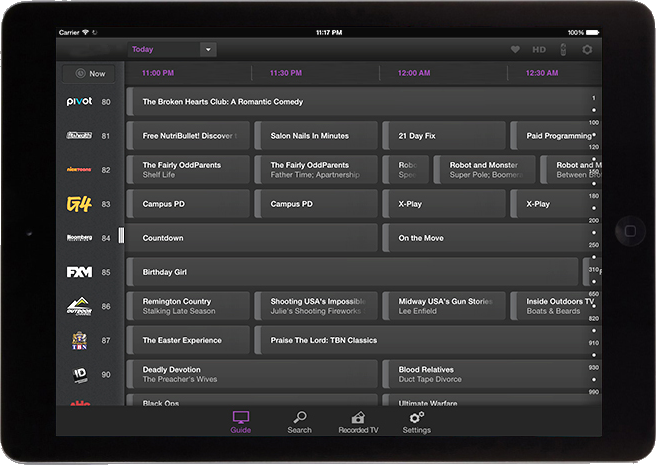 At home, around town, around the world - you can watch and control your TV and all of its programming, live over the internet on your tablet or phone. You have full access and control of your living room TV experience, including all the recorded content from your DVR. You can even watch up to 4 different programs on 4 different mobile devices on your home network. Introducing the ARRIS MS4000™ MEDIA STREAMER, powered by Sling. The ARRIS MS4000™ delivers best-in-class, up to Full 1080p HD-quality, streaming of live or recorded TV programming, sporting events and premium content to iPhones, iPads and popular Android Smartphones and Tablets. Find your live shows, breaking news and movies. Now you can quickly find which channel your show is on without having to search for it. Just view the channel guide to easily find programs, locate your favorite shows, and see what's playing now or coming up later. 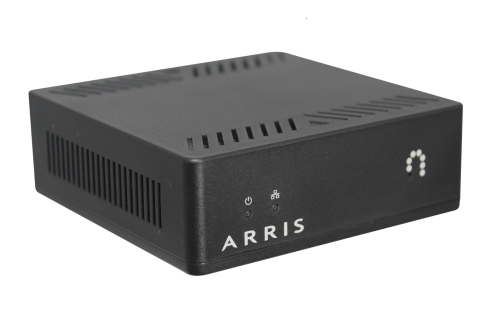 The ARRIS MS4000™ Media Streamer incorporates Sling's award-winning, place-shifting technology to power TV anywhere. Now you can take your home TV with you anywhere in the world with an Internet connection. 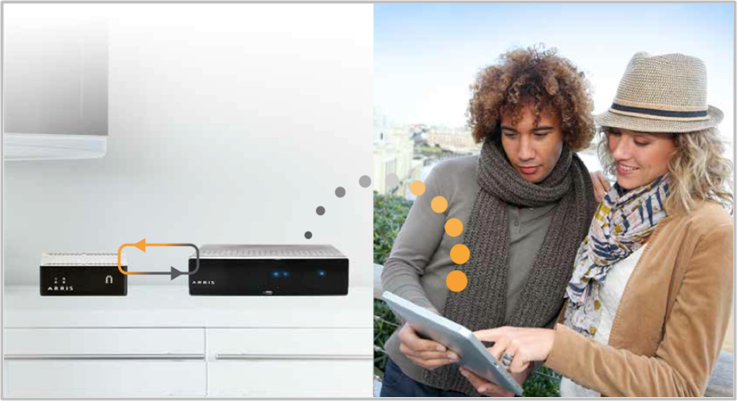 The ARRIS MS4000™ Media Streamer is plug-and-play with your existing set-top box using an Ethernet connection. It takes the incoming video stream from your set-top box, transcodes it then streams the video via the Internet to your mobile device.